A follow-up to R. Kelly’s 33-chapter saga could be forthcoming. R. Kelly, the rapper who had the vibe and believed he could fly, is plotting a follow-up to his frankly baffling musical drama series Trapped In The Closet – but fans shouldn’t get too excited just yet. 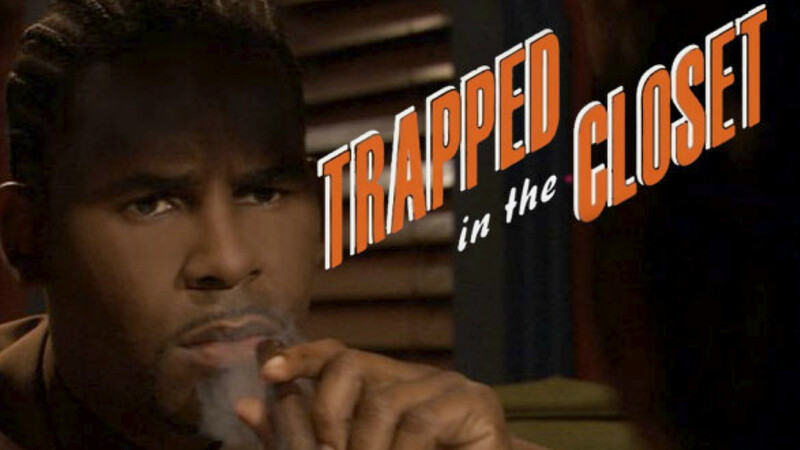 For the uninformed, Trapped in The Closet is a rap opera of sorts chronicling story of one man (R, Kelly, playing R. Kelly) and his experience of being trapped in a closet, told over 33 chapters. He’s not technically trapped either. He went in there to hide from the irate husband of the woman he’s currently doing the dirty with. Revelations, gun fights and midgets follow. It’s completely nuts and difficult to truly do justice with mere words. You need Kelly’s music and ear for an eye-opening turn of phrase. Anyway, Trapped In The Closet was nothing short of a social media phenomenon when it first debuted on VEVO YouTube page for free way back in 2005 and now, after some 12 years, it could finally be getting a sequel. However, it’s not all good news for fans of the original because, unlike the original story which was available to watch and enjoy on YouTube, fans may have to pay to watch this version. Kelly is being tapped up by Apple Music to potentially continue the story on the company’s subscription-based service. According to Bloomberg Businessweek, Kelly could be set to return to the closet-based saga as part of a brand new story. “We have the freedom, because it’s Apple, to make one show, three shows, see what works, see what doesn’t work until it feels good,” he explained to Bloomberg. Kelly has made no secret of his desire to continue the story and has plenty in the way of material to work from too. “I have 35 more chapters of that done,” he told Vibe in December 2016. Alas, fans may have to pay for the privilege of watching them.